How Many Rural Electric Cooperatives Can Stand the Glare? New Orleans In 2016 after an exhaustive research project on all of the rural electric cooperatives in the twelve Southern states ACORN and the Labor Neighbor Research & Training Center published two reports on our website, as well as in two issues of Social Policy. One looked at the lack of diversity and absence of any governance accountability in the cooperatives and the other looked at some of the same issues in employment as well as the pay and benefits board members and their executives were giving themselves. Despite circulating the reports to the cooperatives, state legislators, media outlets, Congressional delegations, and regulatory agencies, it was amazing how we were stonewalled. Finally, some of the walls around this amazingly insular but significant rural economic and employment institution are beginning to show signs of crumbling as reporters and even some regulators stumble over their featherbedding and self-dealing particularly. We’ve cited earlier the work of Avery Wilks at the State in Columbia, South Carolina, and his series largely about director financial abuses in that state. The Advocate papers in New Orleans and Baton Rouge, particularly David Mitchell, have also begun to take a harder look at some of these issues as well, partially because the issues at DEMCO, which has tried to unsuccessfully rebrand from its name as Dixie Electric Membership Corporation, has been catching fire from elected regulators of the Public Service Commission. The CEO of DEMCO was forced to resign short months before he was officially retiring for failure to reimburse the cooperative for a decade for a $14,000 generator installed at his house. Reporters have also headlined the fact that employees enjoyed staying at the beach condo of a contractor for the cooperative. 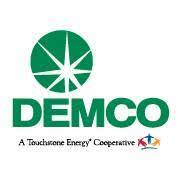 They have also mined the audits DEMCO was forced to have done for other pieces on board members pay and perks. In hearings, four of the commissioners jumped on the rural electric cooperatives with both feet over their compensation and financial practices. They have now vowed to scrutinize the sweetheart compensation arrangements between board members and managers, which is at the heart of the second of ACORN and the LNRTC’s reports. They swear that they will take this into consideration when asked to review rate increase requests from the cooperatives in the future, which is also good to hear. We’ll once again try to put the reports in their hands to see if they will also finally look at the fact that so much of the representation of the ostensibly democratic body is stuck in the 1950s where race and gender are concerned. An arch-conservative political science professor at LSU who writes a column for The Advocate sees political intrigue here on the part of the commissioners. He believes this is obfuscation meant to cover their loss of a boondoggle involving exporting energy from Oklahoma windfarms. He is correct in hitting them for denying the Claiborne Electric Cooperative the ability to extend internet service in its service areas, which is widely seen around the country as fully appropriate for cooperatives. For the rest, its mainly more of his usual conspiracy-tinted offering. For our part we have to believe the PSC is finally doing the right thing, even if for the wrong reasons, if it finally puts an end to the logrolling and self-dealing, anti-democratic practices of cooperative boards. We’ll really cheer if they also finally address the self-perpetuating practices undemocratic boards have of keeping themselves in and women and minorities out. This entry was posted in ACORN, Citizen Wealth, Financial Justice and tagged DEMCO, electric cooperatives, rural, rural electric cooperatives, Social Policy by Wade. Bookmark the permalink.